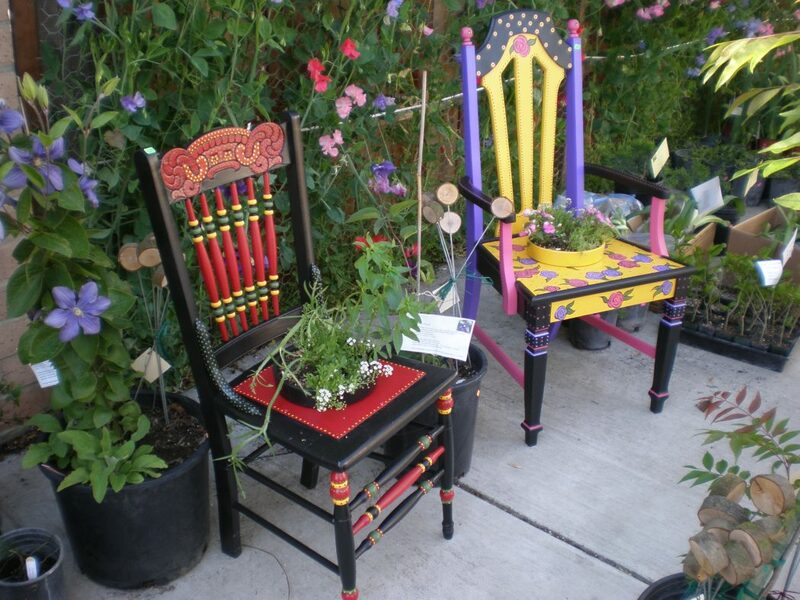 Yes, garden benches come in all shapes, sizes, styles, and colors. The word “bench” could give you the feeling of an antiques or classic look, but that is wrong. 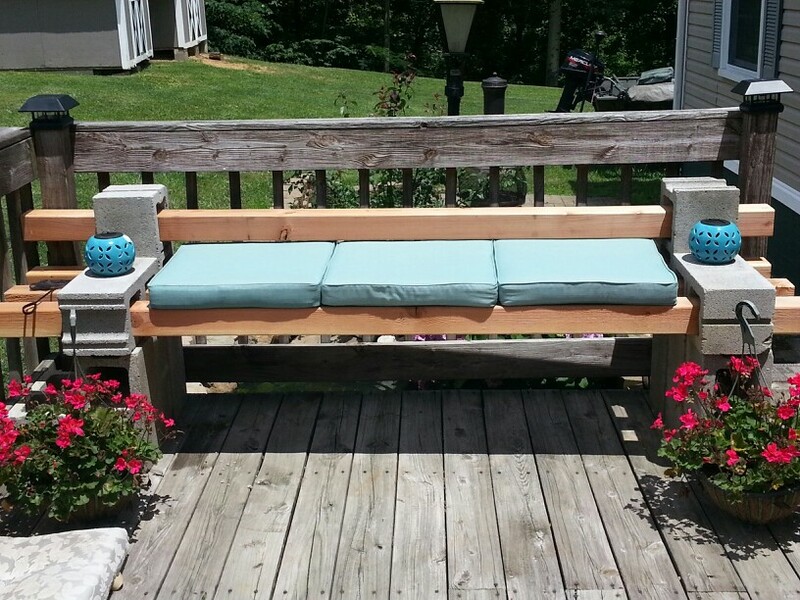 Check our gallery of new, creative and affordable ideas to decorate or even make your bench. 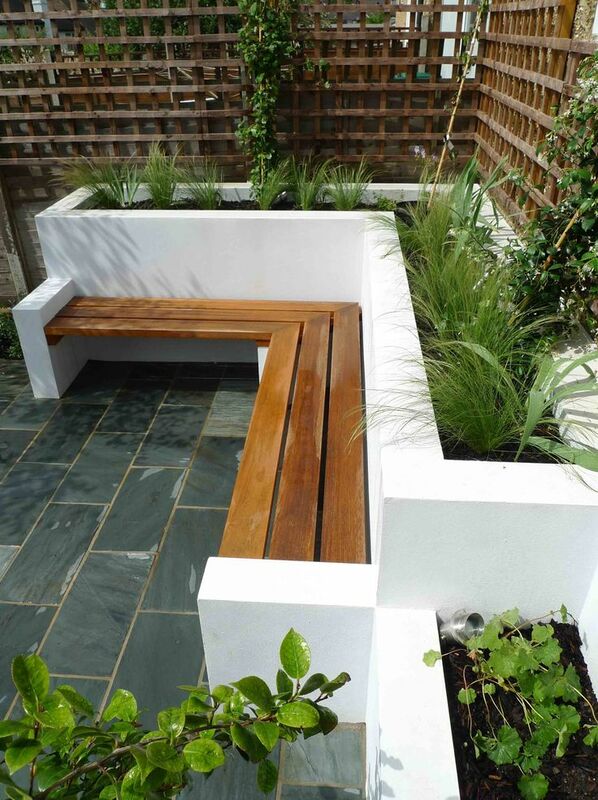 Involving different materials and styles you could follow for a more cheerful or sophisticated garden. 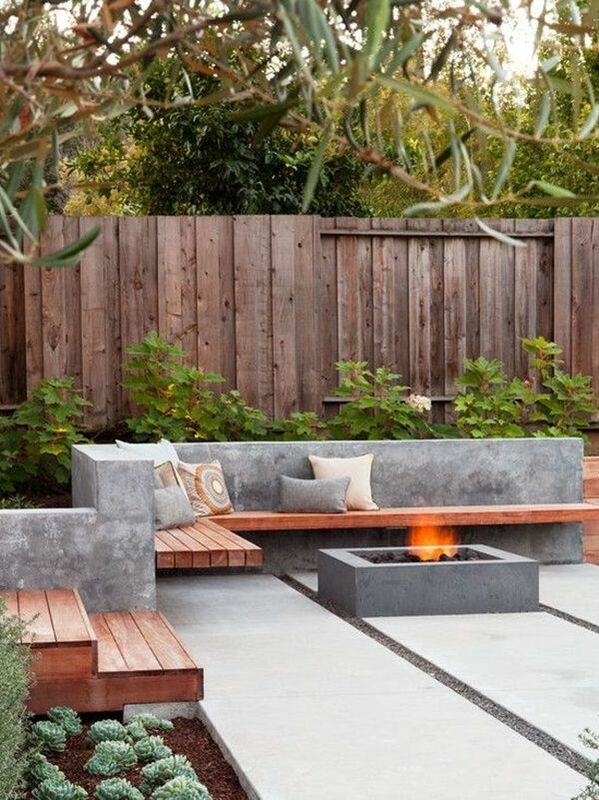 Just use some cinderblocks until you get the required height then add simple wood logs or bars. 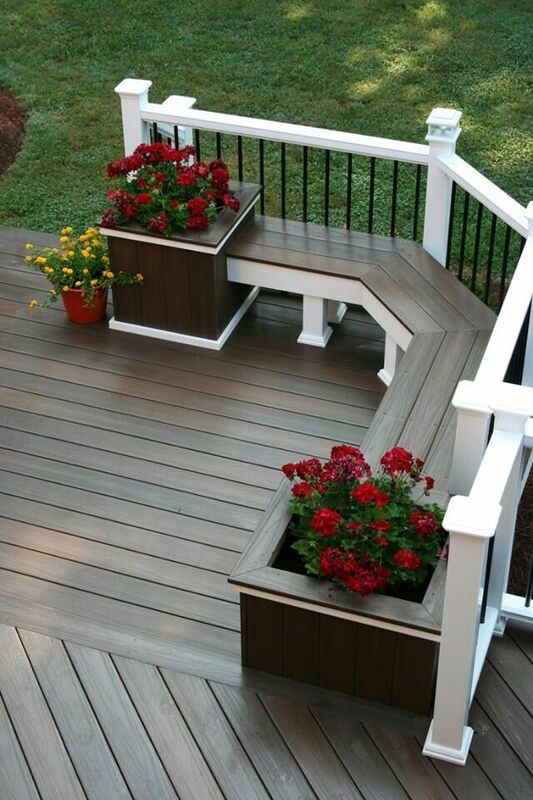 Make sure the wood is thick, so it doesn’t break in the middle when used. Then add many colorful cushions or pillows or place one small mattress on top and finish the look by covering it with pretty fabric or a colorful bed sheet. 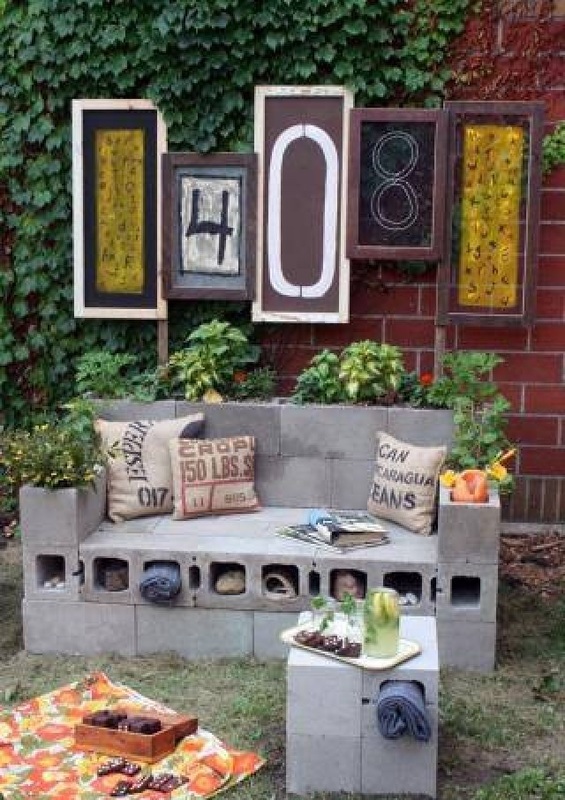 If you have a small garden, this idea would be perfect for saving space. 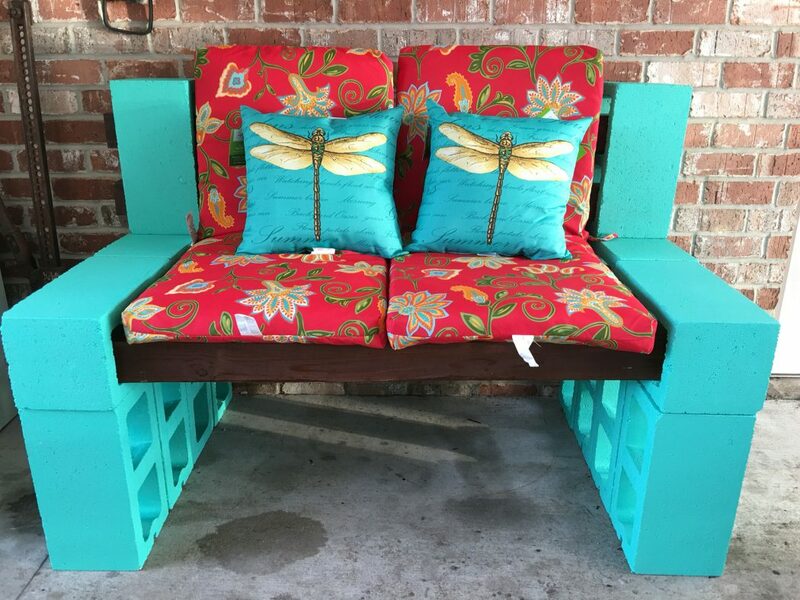 Choose some colorful cushions and hang them on the wall using nails or any strong adhesive, then build the bench under them, you can use bricks and paint each tile with a color or concrete and go for a striped paint. Perfect for people who have toddlers of children. 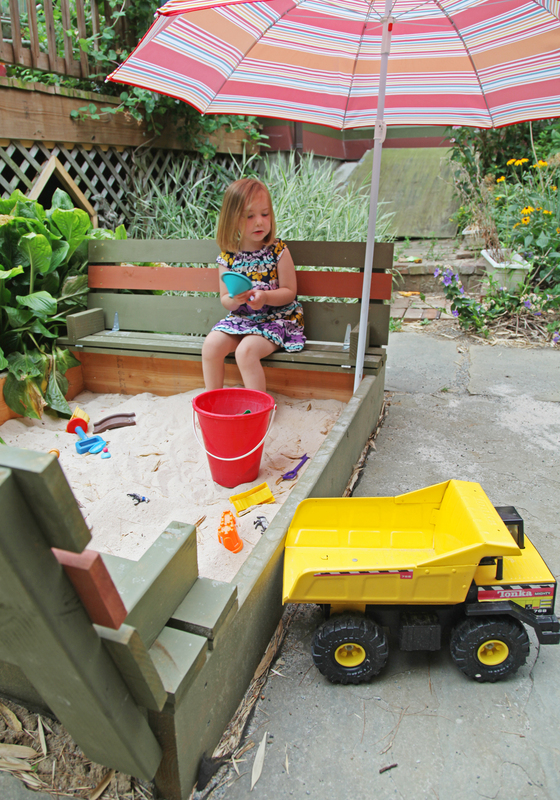 Build the bench casually using wood boards the set a frame around the bench as shown in the picture, you can sit while your kids have fun building sandcastles right in your backyard. 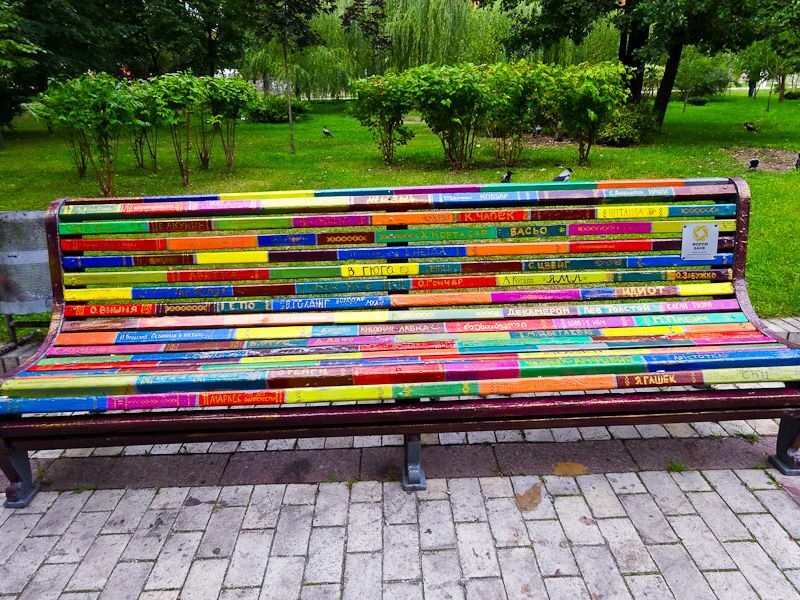 Like the previous concept of using the bench in more than sitting. 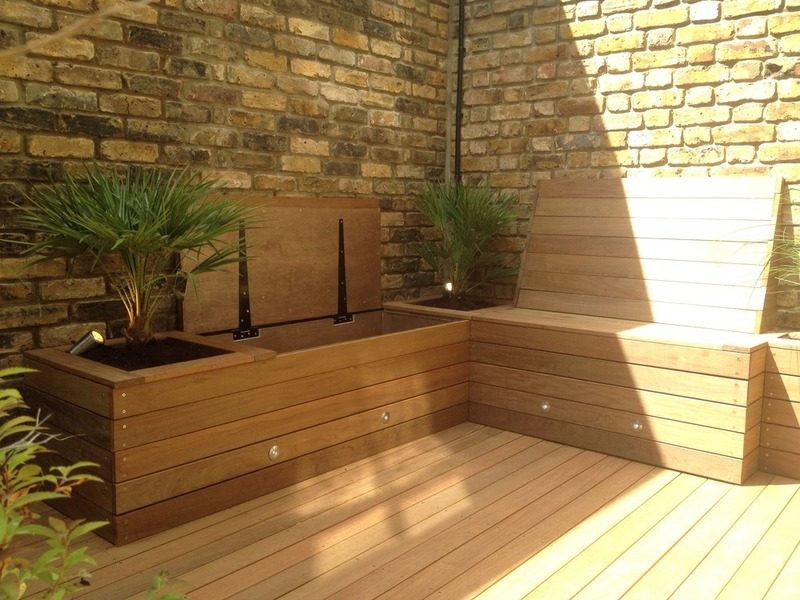 Use large plant pots as stands for the bench and add the wood board over them, creating a new, stylish, nature friendly bench. 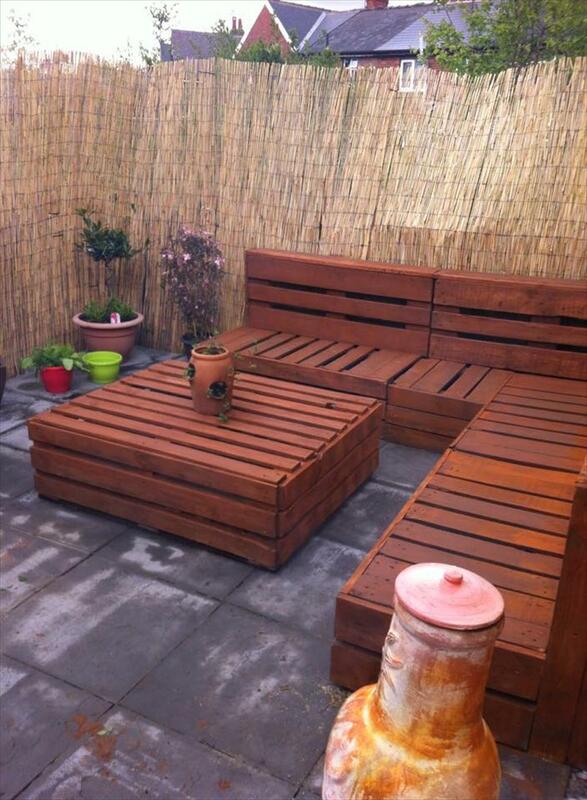 You can also add green cushions for more comfy seating. 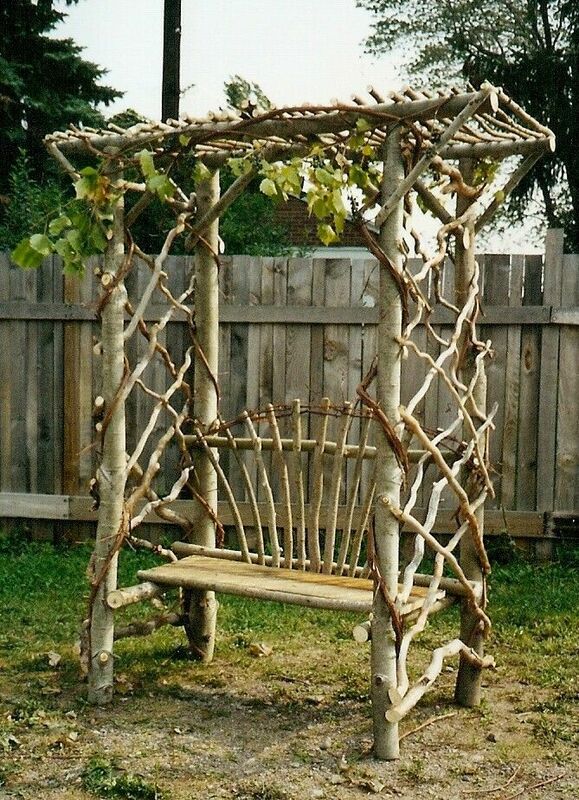 Create the whole thing using tree limbs and large branches and secure together using nails and any strong adhesive substance. Decorate it with colored pillows and add flowers for that naturalistic look. Try choosing colors mostly found in gardens and fields with this one to match the theme. 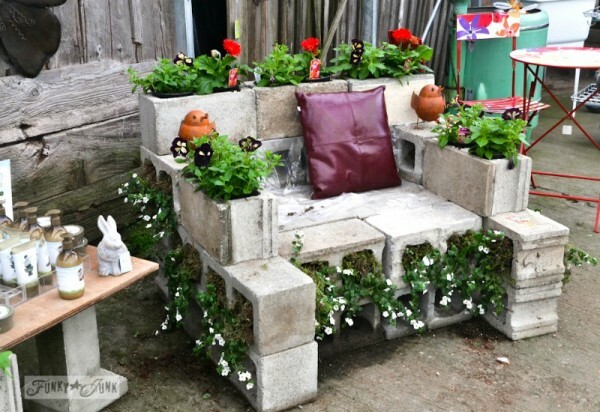 Build a tower of cinder blocks and place a board over it or just use them alone, it is similar to our first idea but with this one; you get to use the holes in the blocks for planting, therefore saving up space if your garden is little. Also, this way is more secure on the middle of the bench. 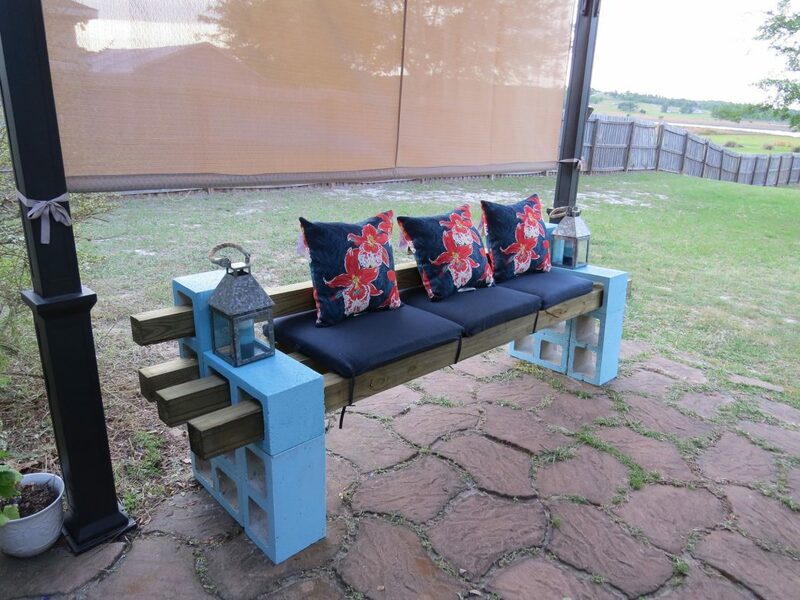 Cut a pallet in half and use the first half for seating and the second for the back and any side details you would like to add. 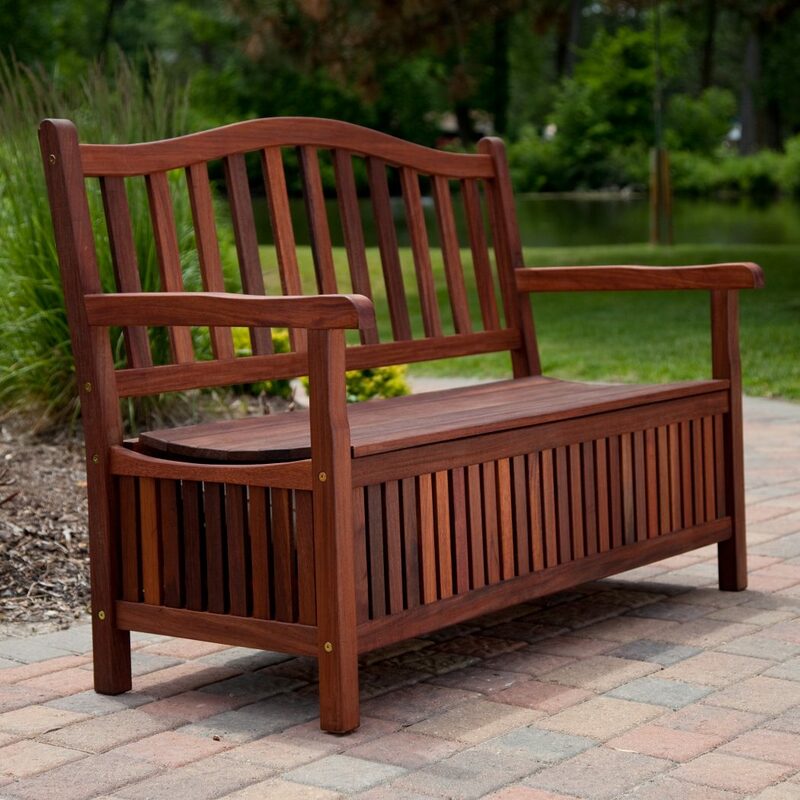 This bench is rather simple and gives a rustic, cozy feeling, feel free to stain the wood or paint it with any natural shade you prefer. Use combinations of whatever wood types you have, for example, have the seating area made of small smoothed out wood boards or one large wood board then use large logs for the legs. 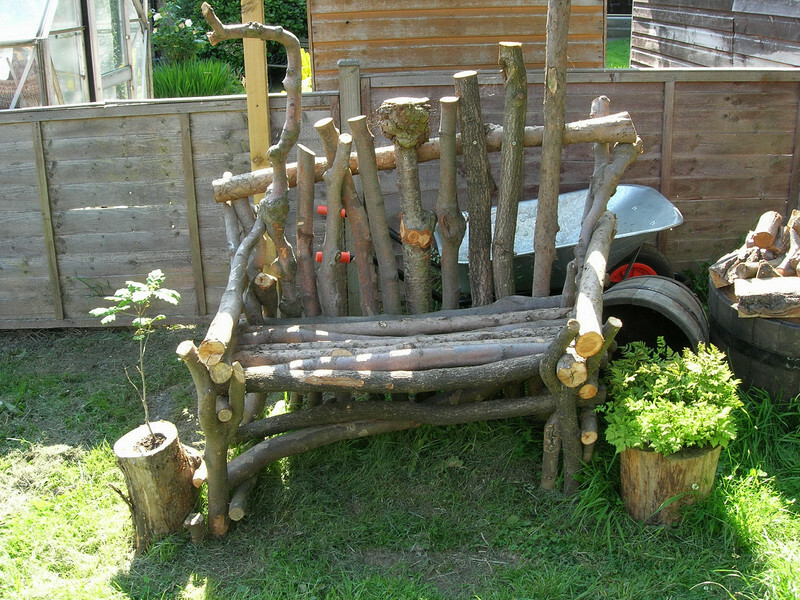 Use logs with the back as well or even seat the bench next to a wall to play the role of the seatback if you run out of wood. 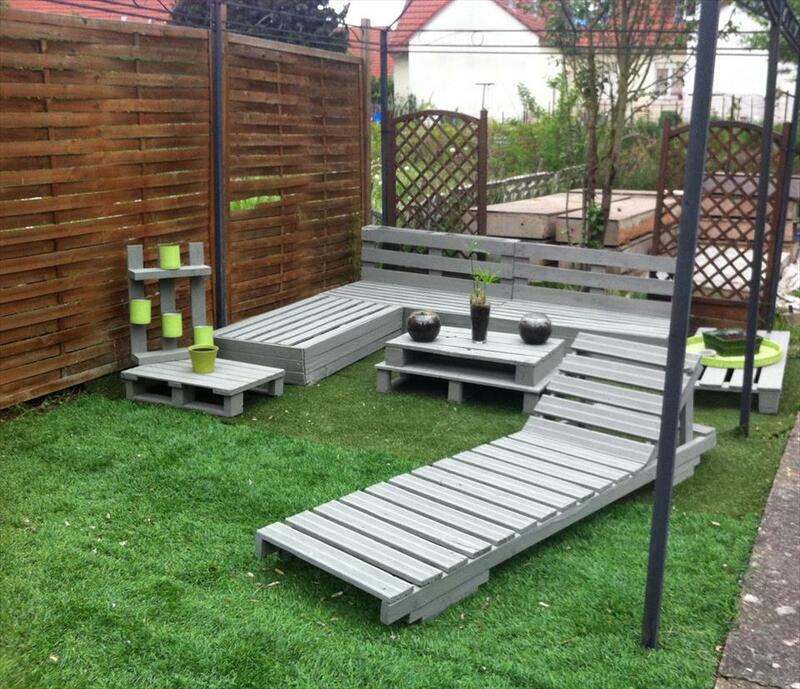 This one has several small wood boards for the seating area, paint each of them with whatever color you want. 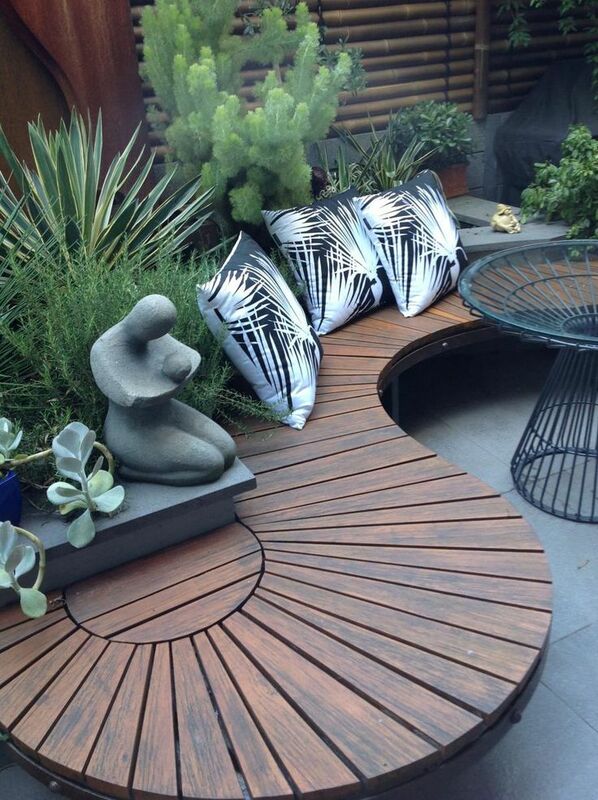 Go for a black and white stripe if you want an elegant look or a piano version of a bench. 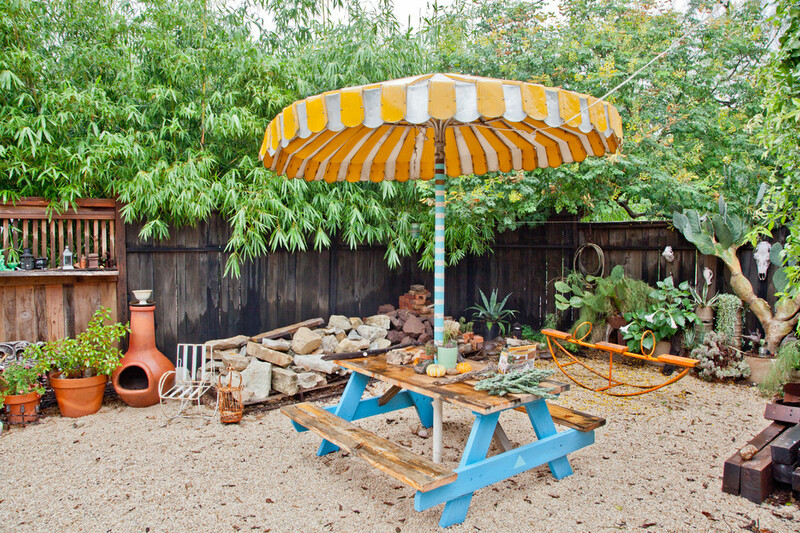 Or use several cheerful colors for a funky 70’s mood in your garden. 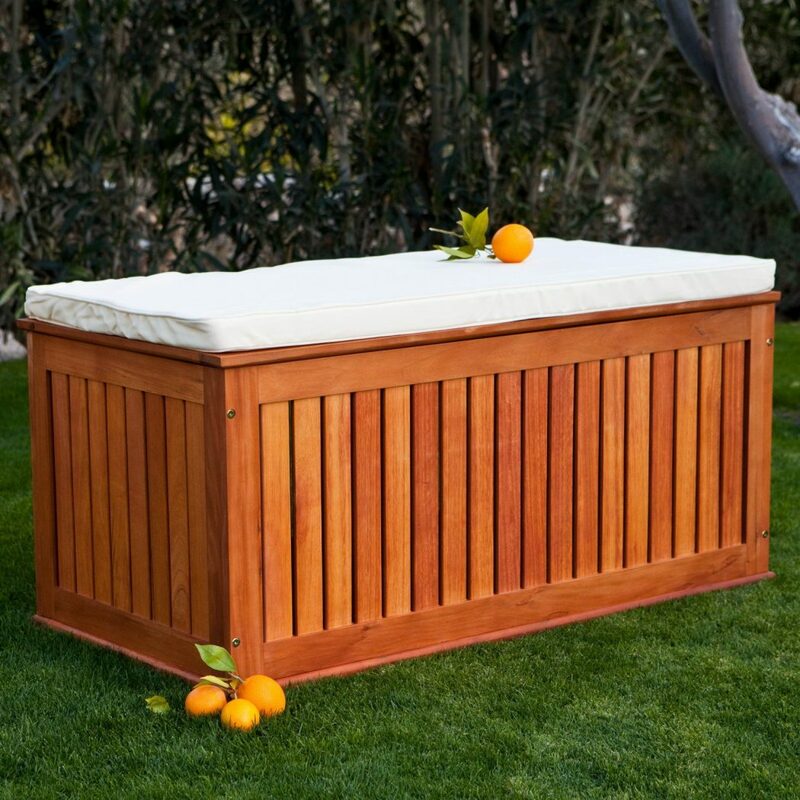 For a maximum usage of space, when making a garden bench try to choose this kind of box-shaped one to store your things inside and keep the outdoor space more organized. 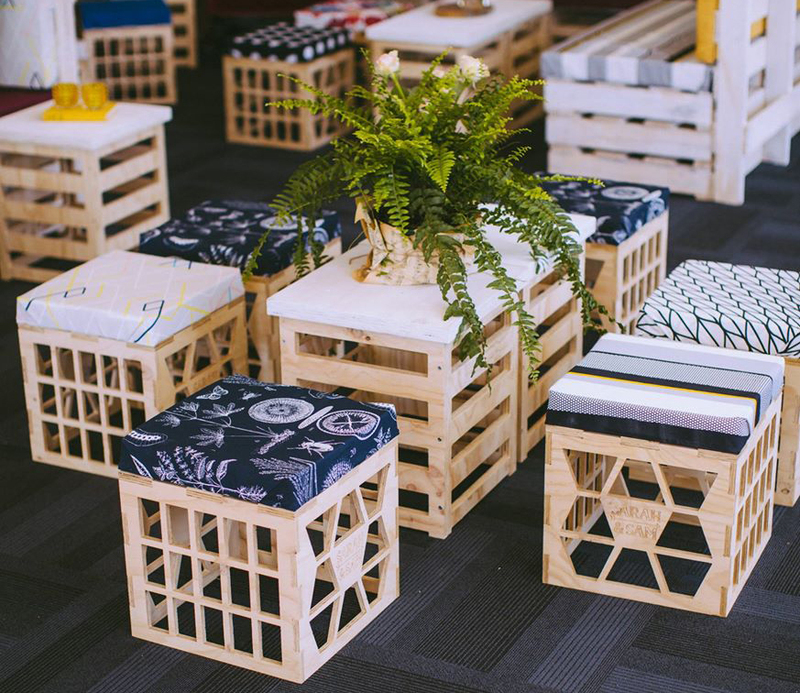 Or the other way around, if you have a large crate at home re-paint it or cover it with a small colorful sheet and use it as a garden bench. In the picture, you see w corner storage bench, made for even more storage space or do it yourself using two boxes instead of one, try filling the corner space with ornaments like flowers or a small light colored pillow. 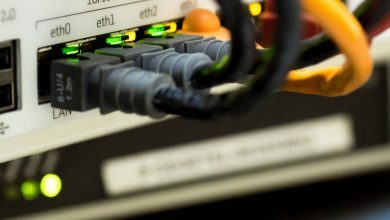 Or don’t add any decoration at all that needs to be moved if you will be opening the boxes too often. 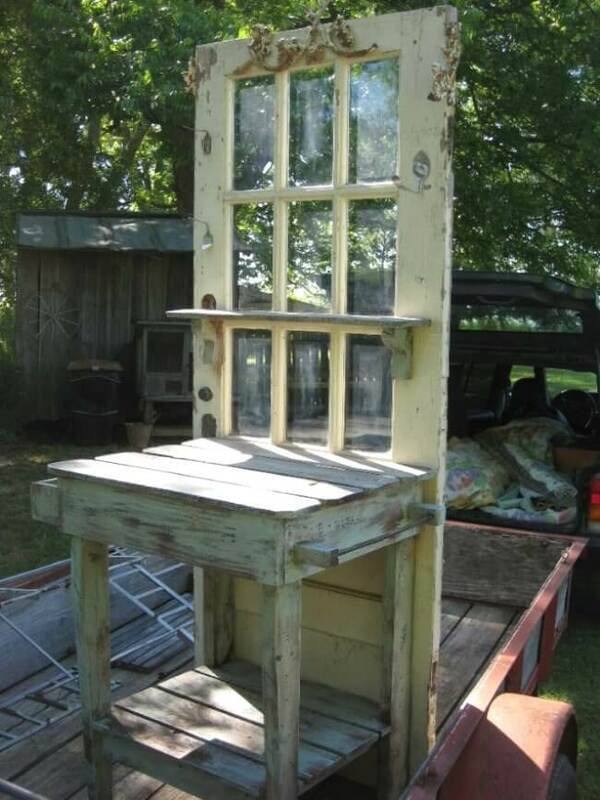 It may seem like an odd idea, but if your door got old and you replaced it don’t throw the old one out. 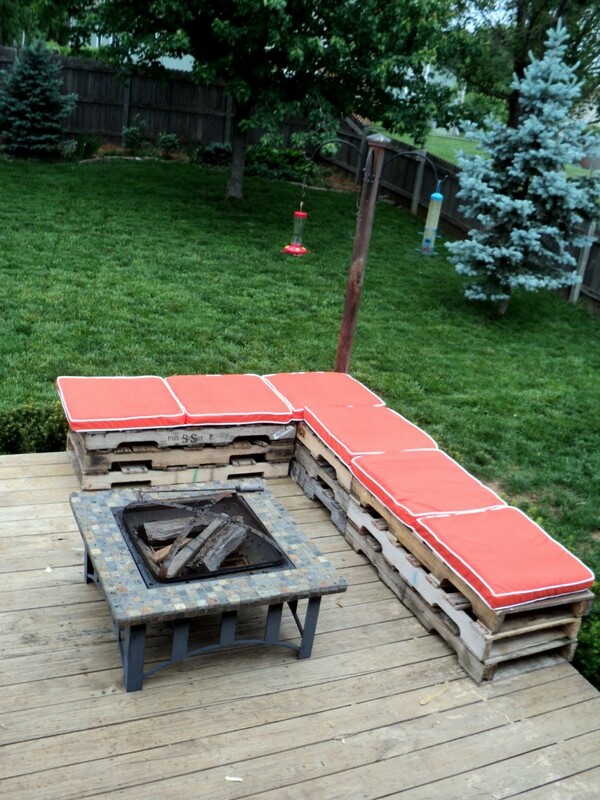 Cut it up and use large panel pieces as a seat and smaller ones as legs. 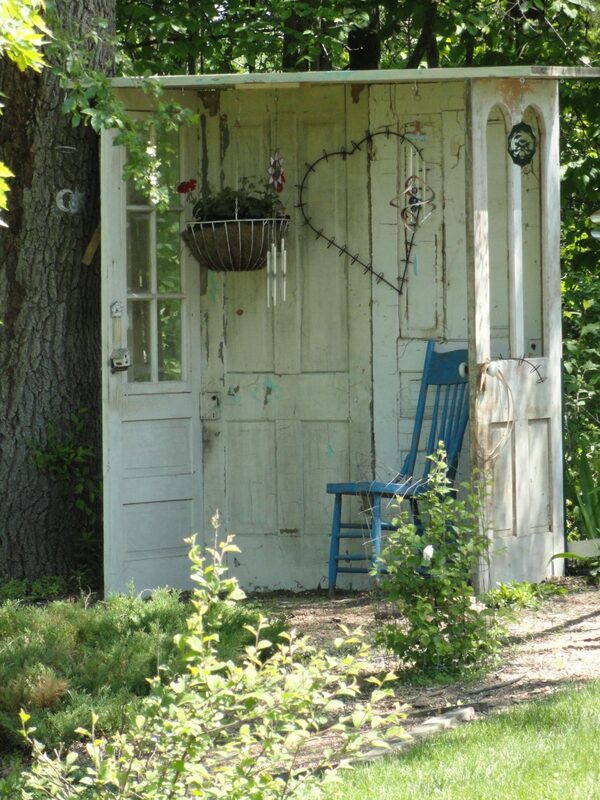 Repaint it or leave it as it is to give a rustic, vintage look. You can also use any other smaller door and add wood logs as legs, remove the doorknobs and add flower pots in the holes, or keep them and add flowers around them for a bit crazier look. 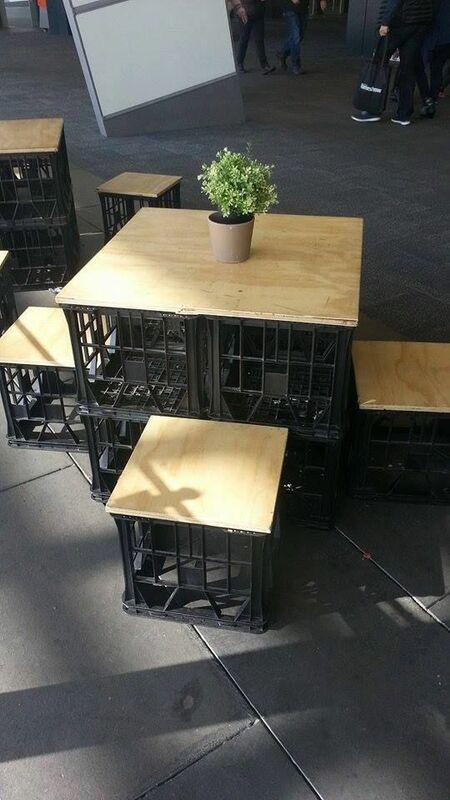 You know those old milk or soda drink crates no one uses? 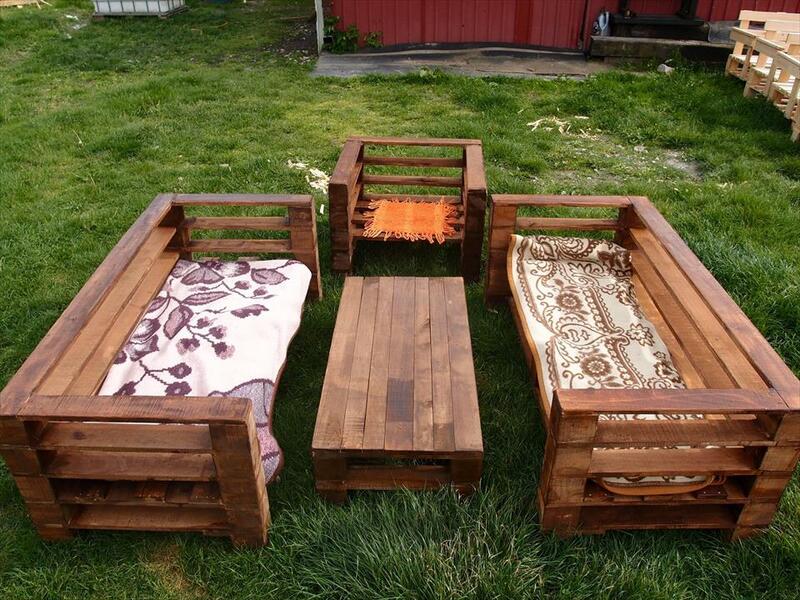 Pile them or make a row and add a small mattress on the top to have yourself a perfectly new garden couch. Also, you can use the holes in the crates to put small plant pots or add large stones and colored pebbles to go along with the gardens’ mini forest-like setting. Guess what? If you are replacing that old small book shelf for a bigger one, you can still make use of it. Place the bookshelf on its side and paint it with whatever color you prefer, add cushions for more comfort and use the individual shelves as storage space for your children’s outdoor toys or for small garden tools. 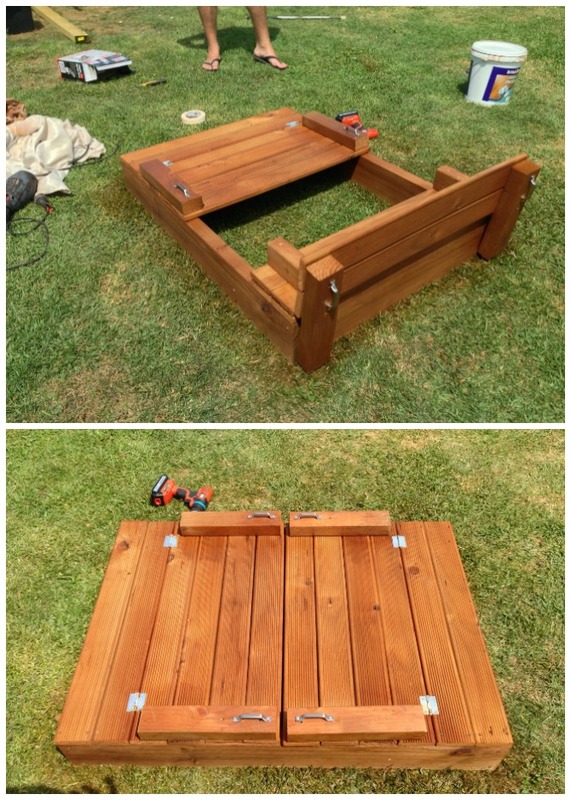 This can also be applied to an old dresser you no longer need, just flip it over and layer it with pillows. A log bench (like its name suggests) is made out of one big log that is cut in half, and the other half could be cut up and used for the legs. 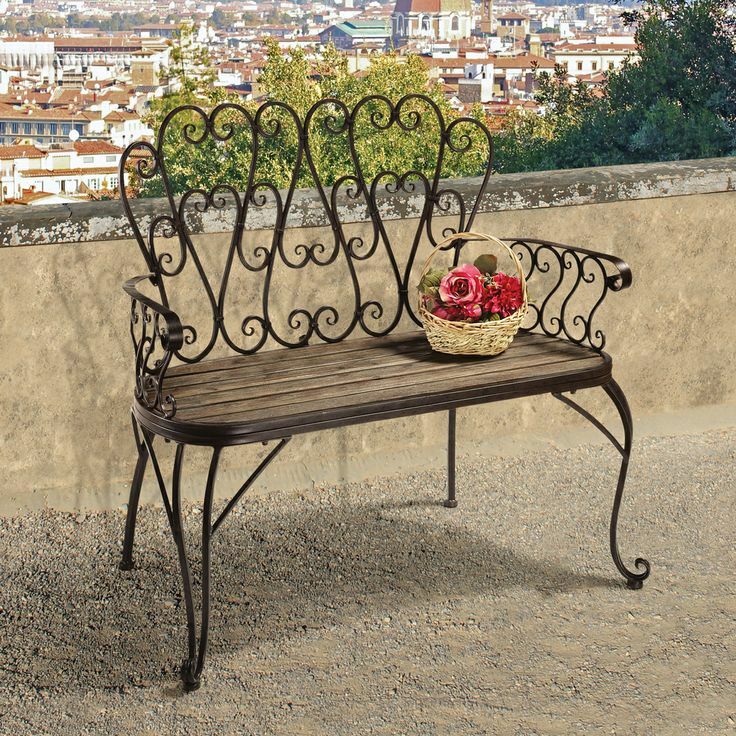 This one is a classic rather authentic version of a bench, so we don’t prefer adding any color or decoration to it. 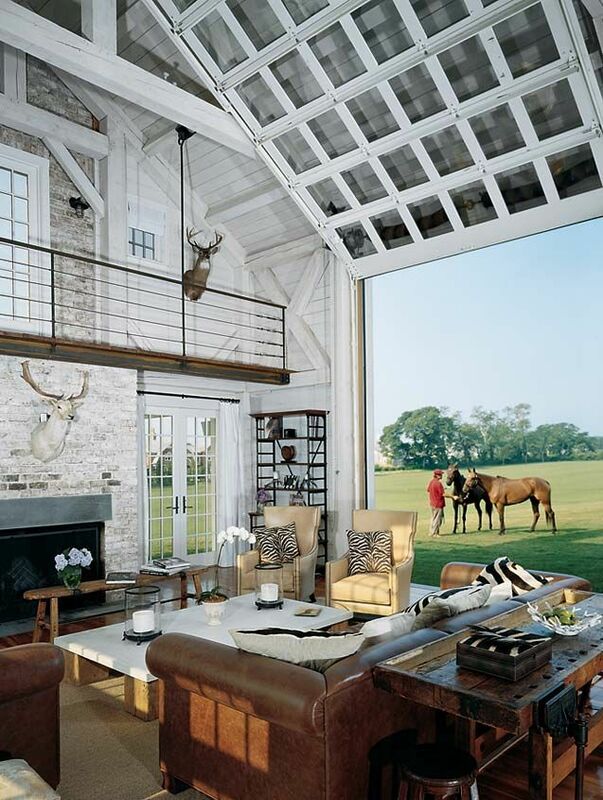 Just leave that rustic old finish as it is. 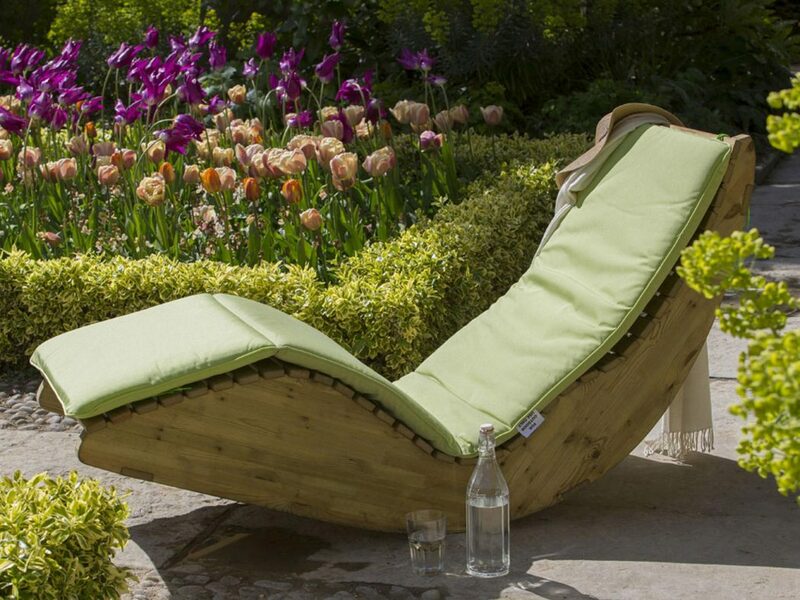 If your garden is large enough for this, it is a must-go-for! 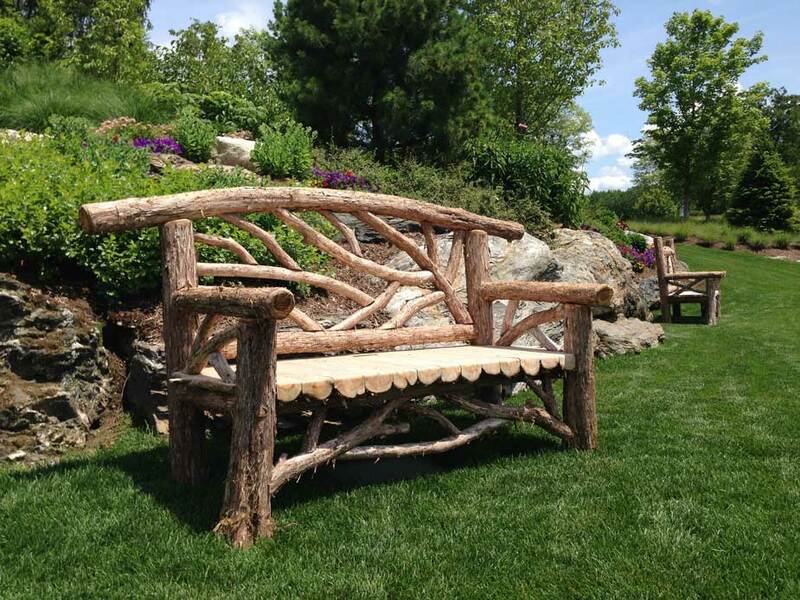 Build you bench right around the large trees in your garden. 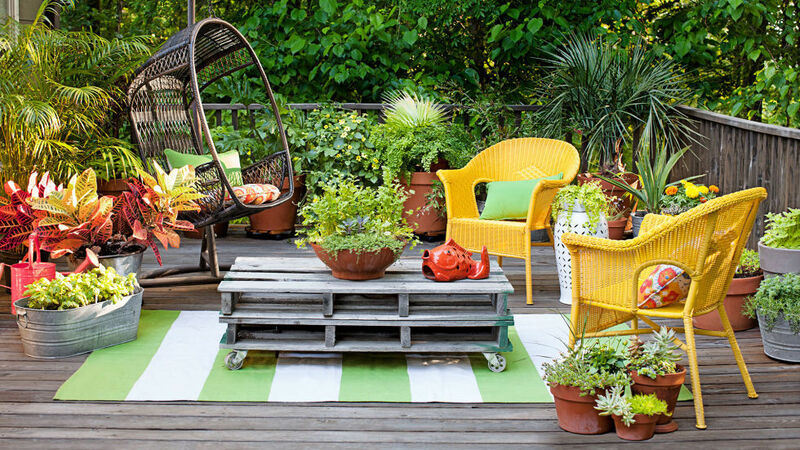 Use a large wood board and add pillows, cushions or even small vases for decoration. 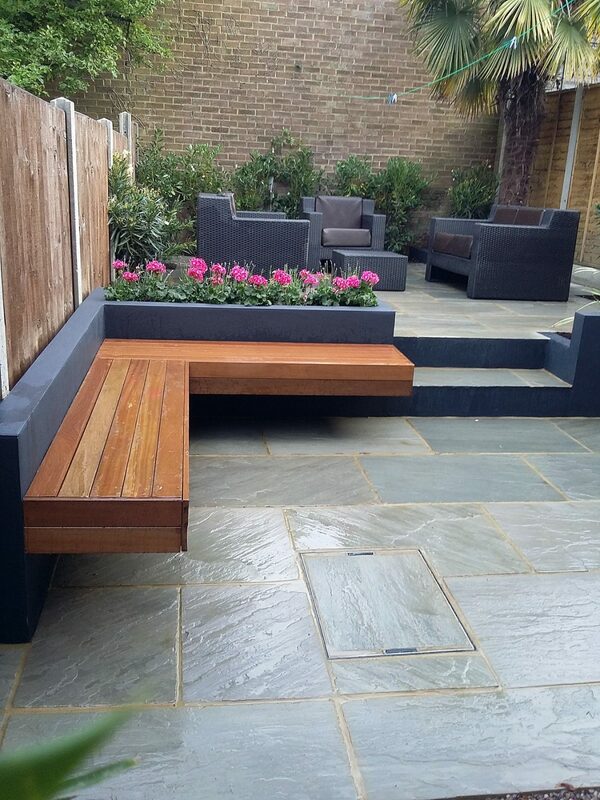 This is more than just a small ordinary bench but rather a family seating area. 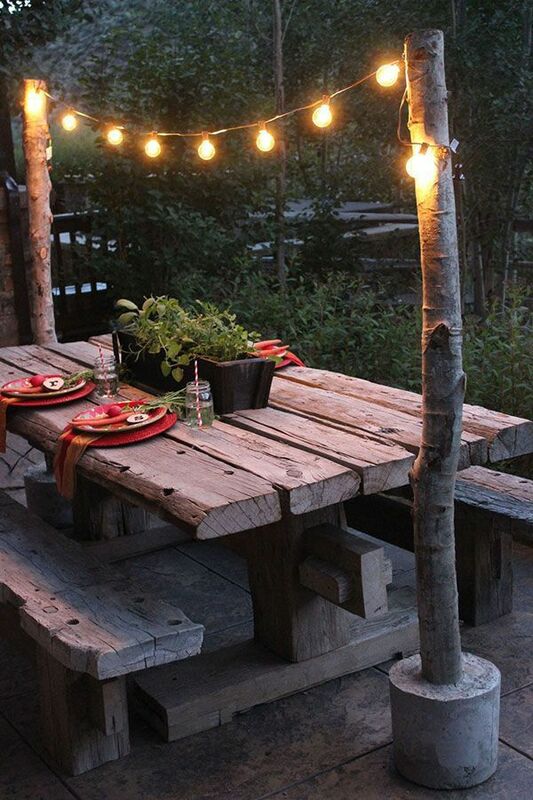 Would be perfect when throwing outdoor parties or having guests over. Imagine laying your back on that and just gazing at the night sky under the tree branches. 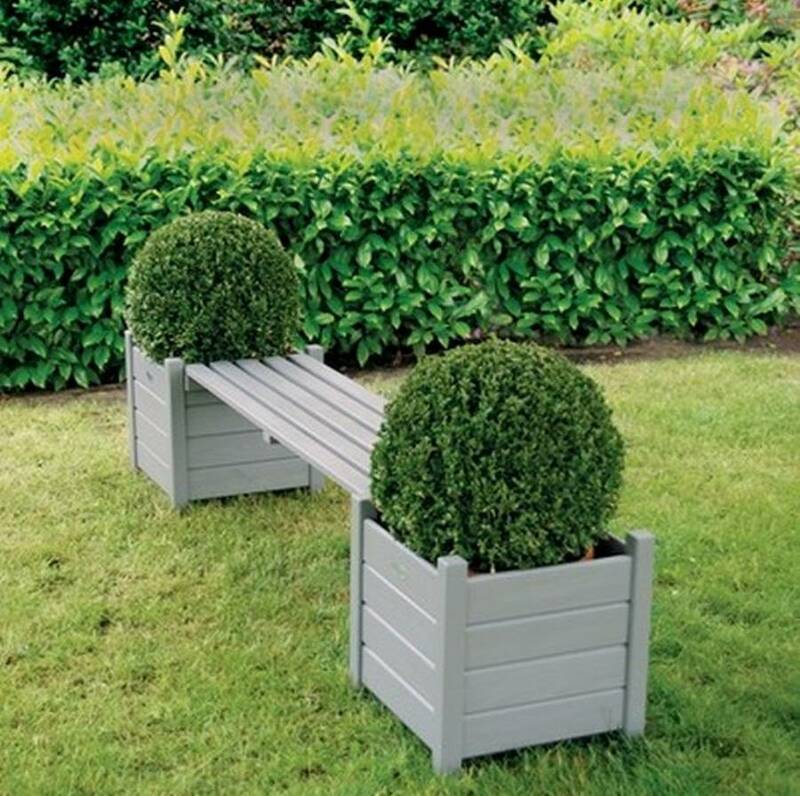 Also if you have one single large tree instead of many smaller ones you can place your bench around it, the large tree will work as an umbrella as well. 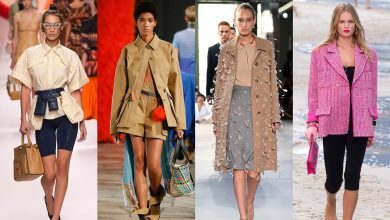 So many options, shapes, and sizes to choose from. 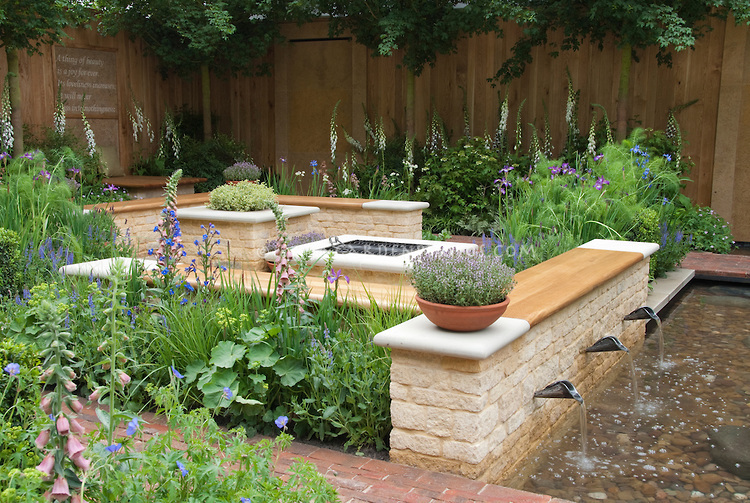 All you need to do is check what you have available then start redesigning your home’s garden. 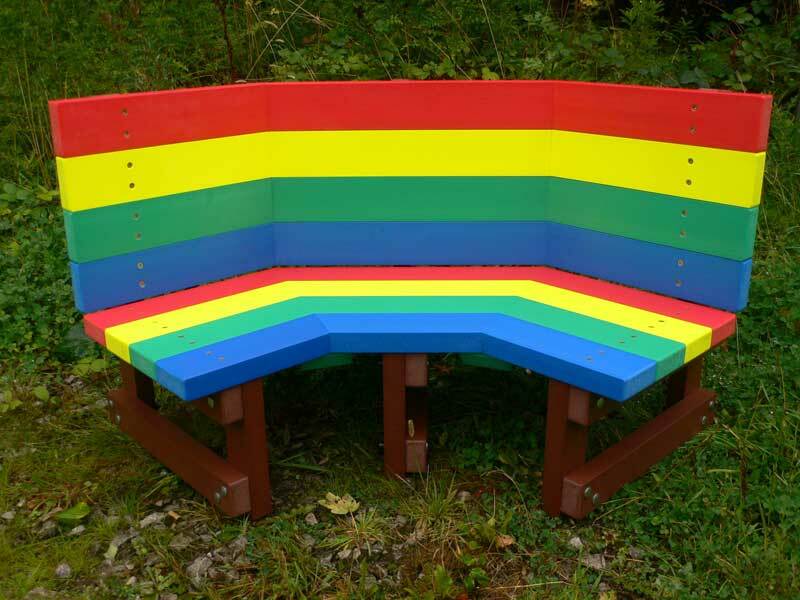 Just remember to place the bench in a dry place to protect its wood, try avoiding its exposure to too much sun, a tree shade is ideal so the paint wouldn’t fade, and of course try placing it in front of a pretty view.